Broccoli Casserole Recipe - Home. Made. Interest. 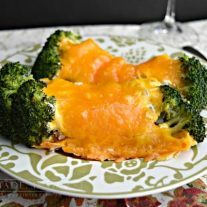 This Broccoli Casserole Recipe is made with condensed cream of mushroom soup, sour cream and cheddar cheese for a creamy, delicious casserole that is the perfect side dish recipe to serve with any meal. Alright guys, this Broccoli Casserole is one of my all-time favorite side dishes. My grandma used to make it for every holiday along with her coconut cake and I always looked forward to it. 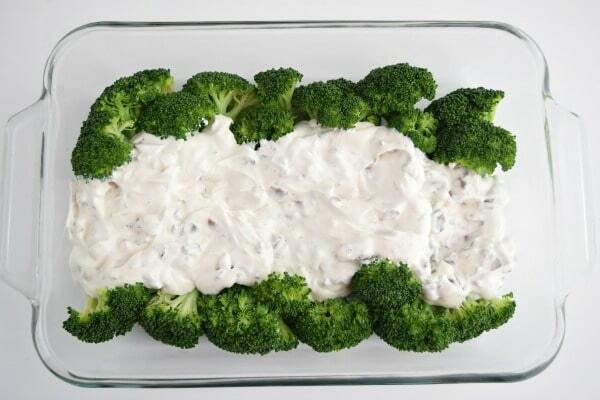 It’s such a simple recipe all you need is condensed cream of mushroom soup, sour cream, broccoli, and cheese. That’s it! 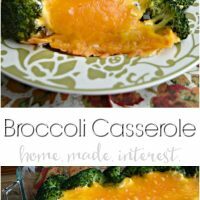 And, even better, you can make this Broccoli Casserole ahead of time so it is perfect for the holidays! STEP 1: To make the casserole the first thing you do is cut up two heads of broccoli. I like to use broccoli spears because it makes a pretty presentation, and that’s how my grandma did it, but you can use crowns if you prefer. Boil or steam the broccoli until it has softened (but is still slightly firm) then run it under cold water to stop the cooking process. 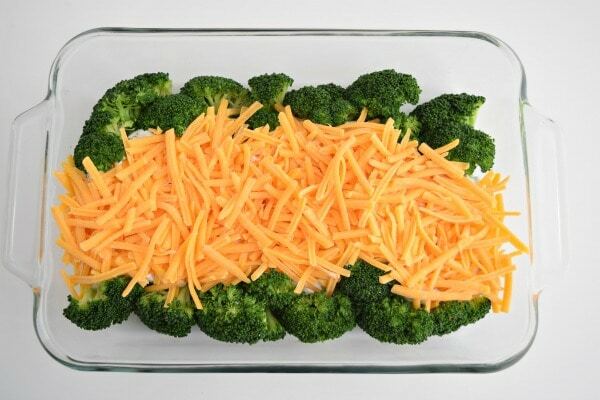 Strain and dry the broccoli slightly before laying the spears in a casserole dish with the florets facing out. STEP 2: Next up mix the condensed Cream of Mushroom soup and sour cream in a bowl. This makes a delicious creamy mixture that you pour down the middle of your broccoli spears. One of the things I like about this broccoli casserole recipe is that it has such a nice presentation. Keep the toppings right down the center and you have the pretty broccoli florets peeking out of the ends. STEP 3: Last, but certainly not least, cover the mushroom mixture in cheddar cheese. I like my Broccoli Casserole pretty cheesy but feel free to use a little more or less if you like. Then cover the casserole with aluminum foil, pop it in the oven at 400° F for 30 minutes. Remove the foil and continue baking for 5-10 minute more, or until the cheese on top is bubbling and fully melted. If you want to make this casserole ahead of time to help make Thanksgiving, Christmas or Easter dinner a little less stressful you can totally do that. Just assemble everything and then cover tightly and put it in the refrigerator instead of baking it. The next day when you’re ready to make your sides just pop it in the oven. Like this recipe? Pin it to your Casserole Recipes board! This Broccoli Casserole, made with mushrooms, sour cream and cheddar cheese is creamy and delicious. The perfect side dish recipe to serve with any meal. Boil or steam the broccoli until it has softened (but is still slightly firm). About 5 minutes. Once cooked remove broccoli from heat and run it under cold water to stop the cooking process. 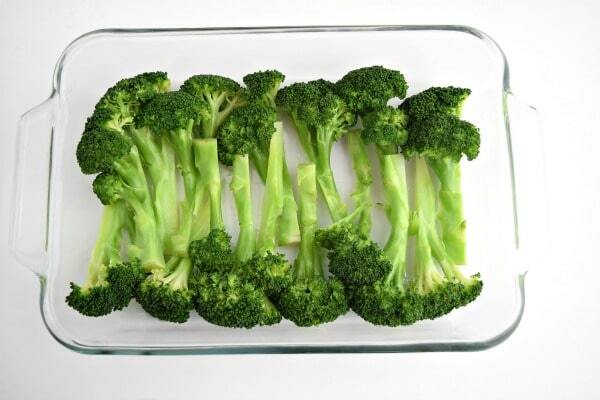 Dry the broccoli slightly before laying the spears in a casserole dish with the florets facing out. Sprinkle lightly with salt. In a bowl combine the Cream of Mushroom soup and the sour cream. Pour mushroom mixture down the middle of your broccoli spears. Cover mushroom mixture with shredded cheese. Cover casserole dish with aluminum foil and bake in over at 400° F for 30 minutes then remove foil and continue cooking for 10 minutes or until cheese is melted and bubbly. This sounds and looks like a great recipe! I need to give this one a try! 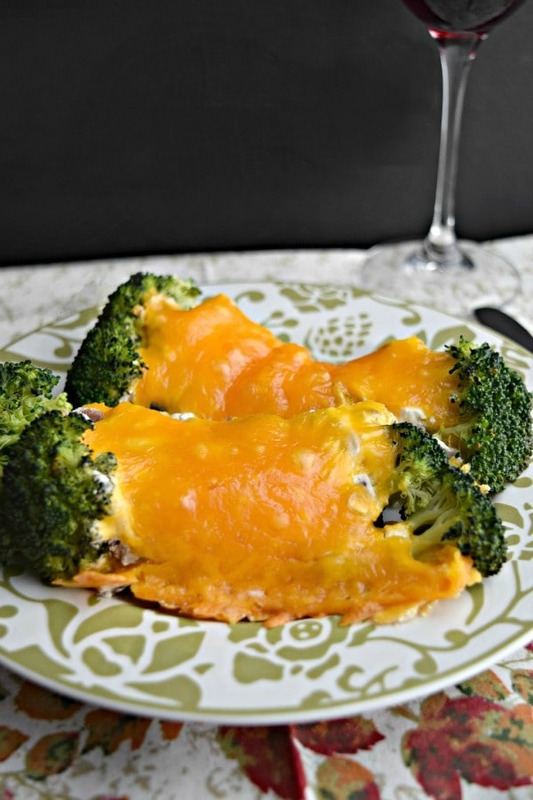 Broccoli is my FAVORITE veggie so this looks delish! Thanks for the recipe! This broccoli dish looks amazing and I will definitely be trying it! I’ve never seen such a lovely broccoli casserole presentation. Thanks for sharing your recipe! Oh my gosh this is comfort food to the max! Thanks for sharing 🙂 Pinned! 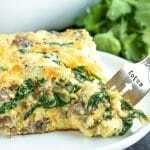 This looks really good – I will have to make it for my kids one night to get them to eat some more veggies. We love broccoli and always looking for good ways to make it. Pinned! I love broccoli, but hubby is not so much of a fan. Although I really think I could tempt him with this. I will have to try it and see what he thinks! OH. I die! This looks SO darn good! 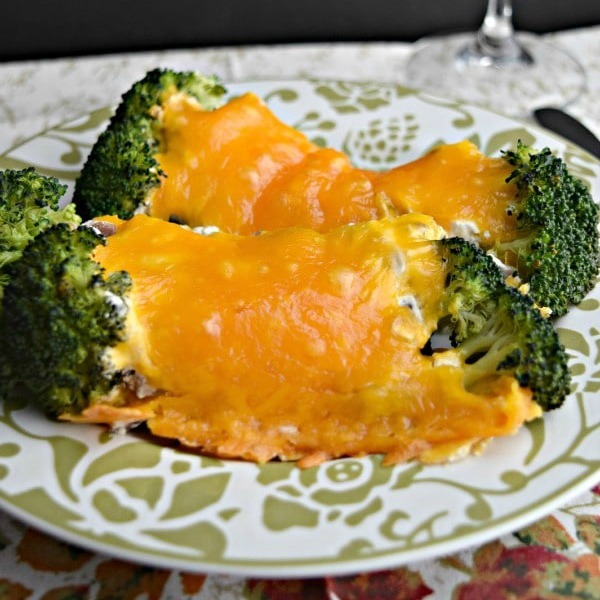 I don’t really like broccoli cooked, unless it has a ton of cheese on it… but, I love the idea of adding a layer of mushroom soup, WINE and cream under the cheese!!! Delish!!!! I make a different broccoli casserole. Mom was covinced the only way I would eat broccoli is covered in ritz crackers and cheese. It’s my favorite holiday casserole. This looks fabulous! I love broccoli in all shapes and sizes. This will definitely be #onthemenu! Thank you for linking up with #FoodieFridays. Best I have ever had! Hands down!